Do you need to Sell More Books? 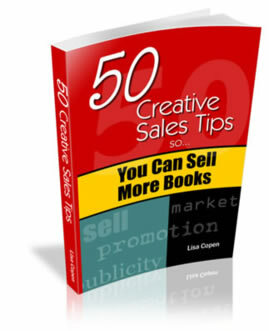 All are potential ways that YOU CAN SELL MORE BOOKS! Lisa Copen, book marketing consultant, will share some off-the-wall ideas to get you brainstorming in her first ebook of a series called. . . You Can Sell More Books. she has built her web site from a small page in 1997 to over 500 pages of information and 80,000 visitors per month. She can help you improve the marketing of your book! After speaking at writers conferences and people frantically taking notes asked her "do you have a book?" she decided to start putting her expertise, experiences (and failures!) on paper, in hopes that you can save some time, money and sanity!